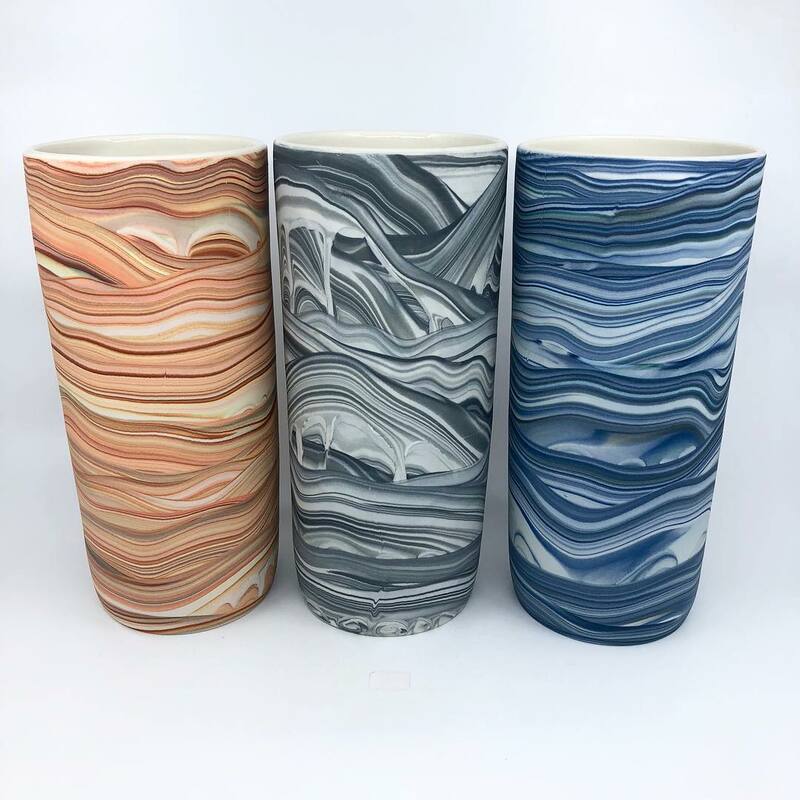 Multi-layered ceramics by Sean Forest Roberts reveal surprising streaks of color and pattern beneath their smooth monochrome surfaces. 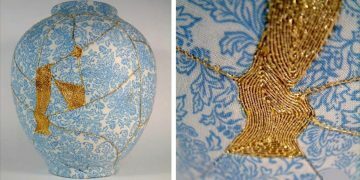 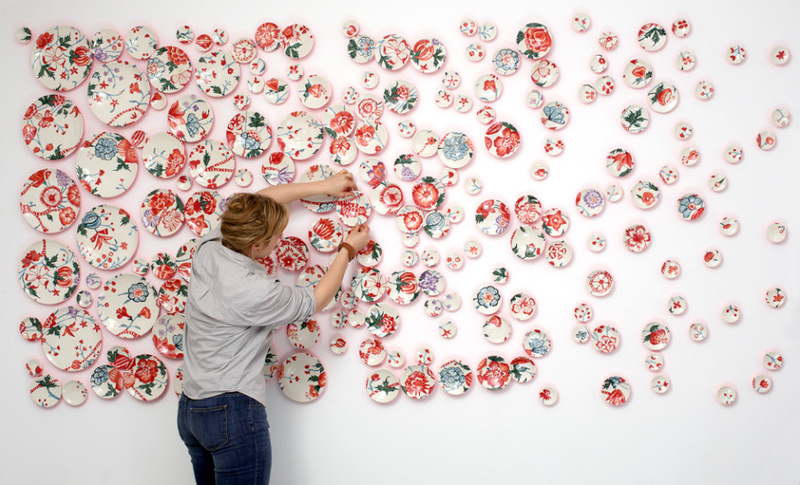 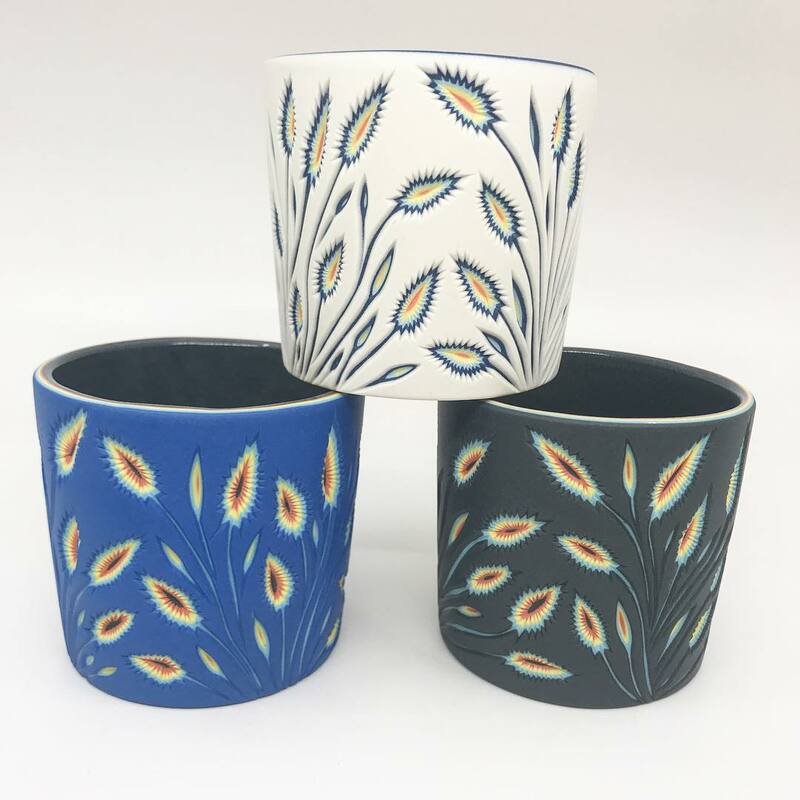 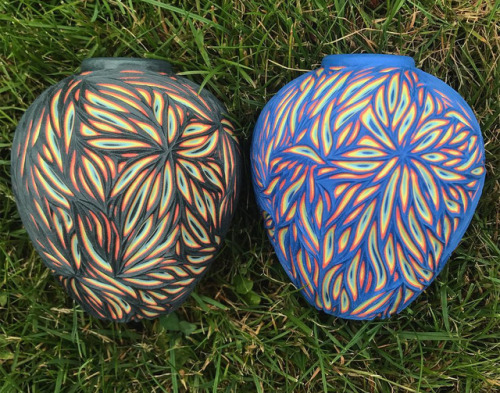 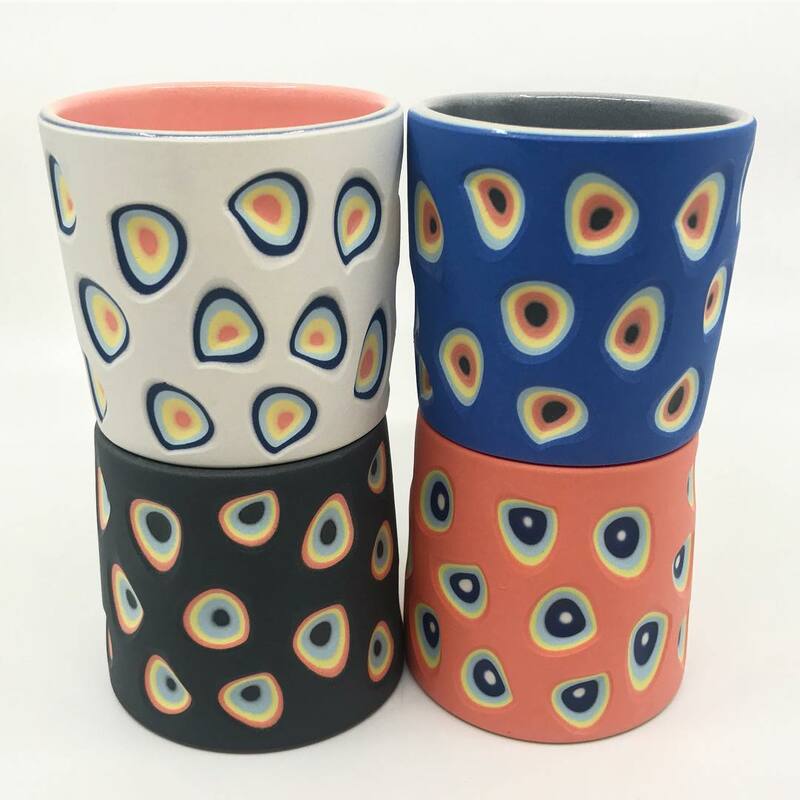 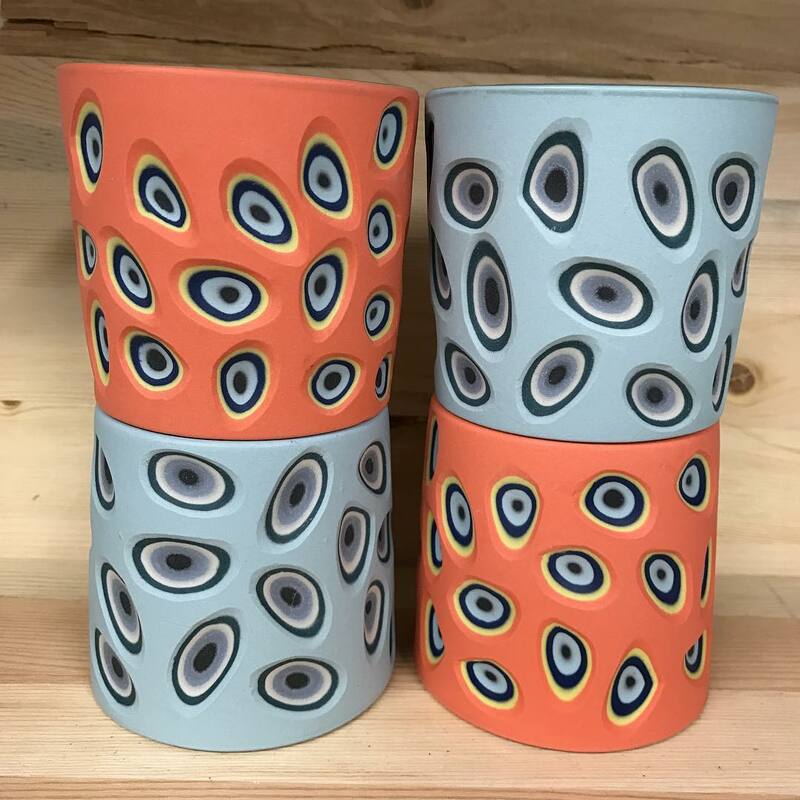 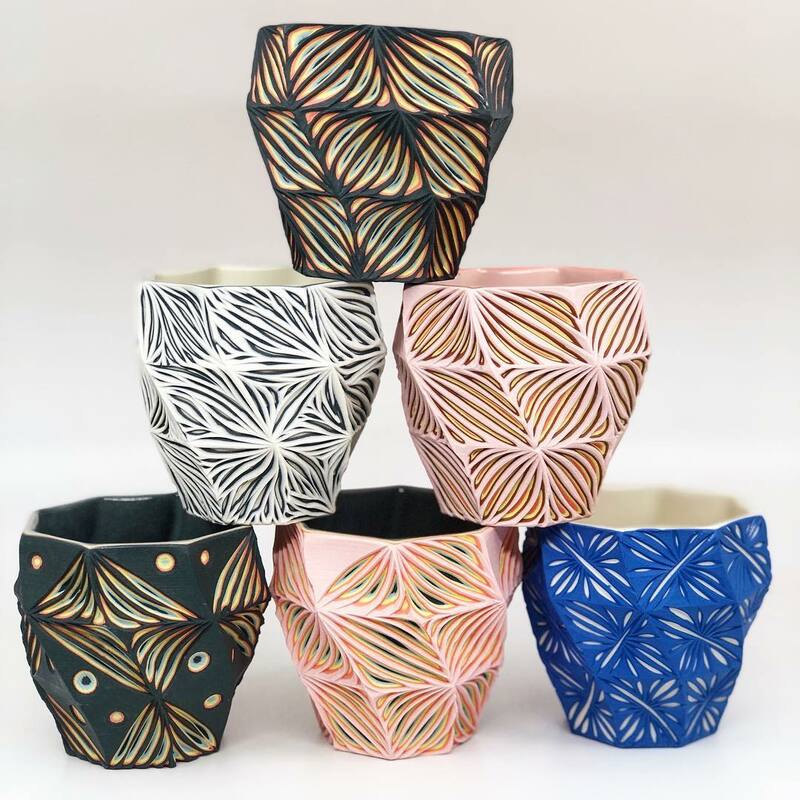 Roberts, who operates as Forest Ceramic Company, mixes and pours colored liquid clays to create the colorful patterns in his ceramics. 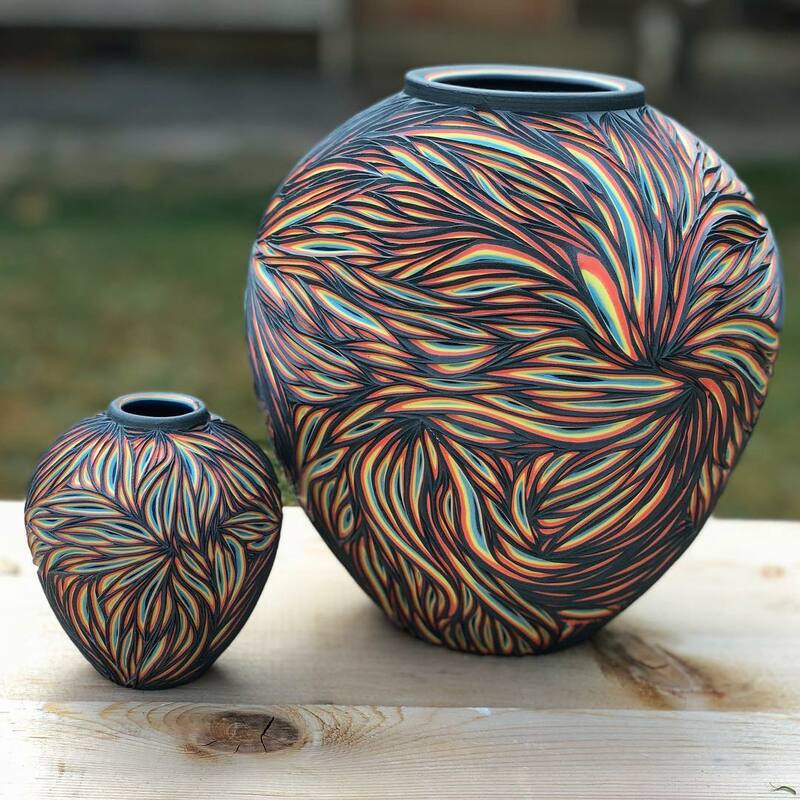 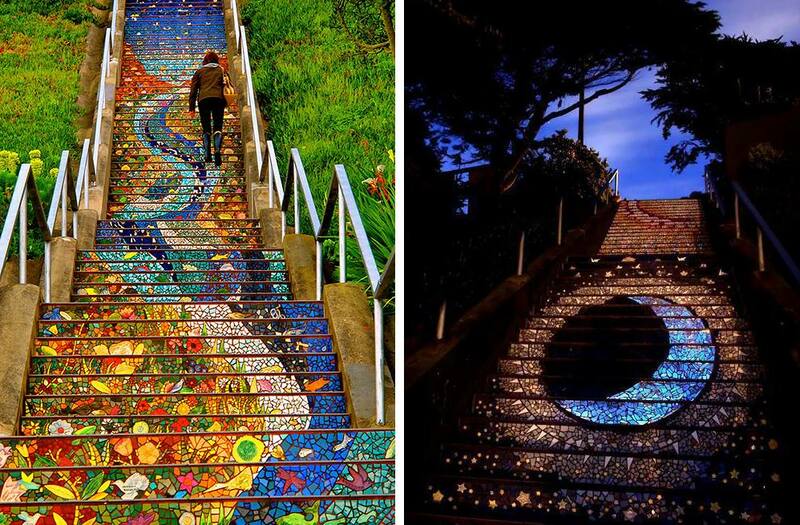 He also uses carving tools to unearth layered colors in motifs based on patterns and structures found in nature. 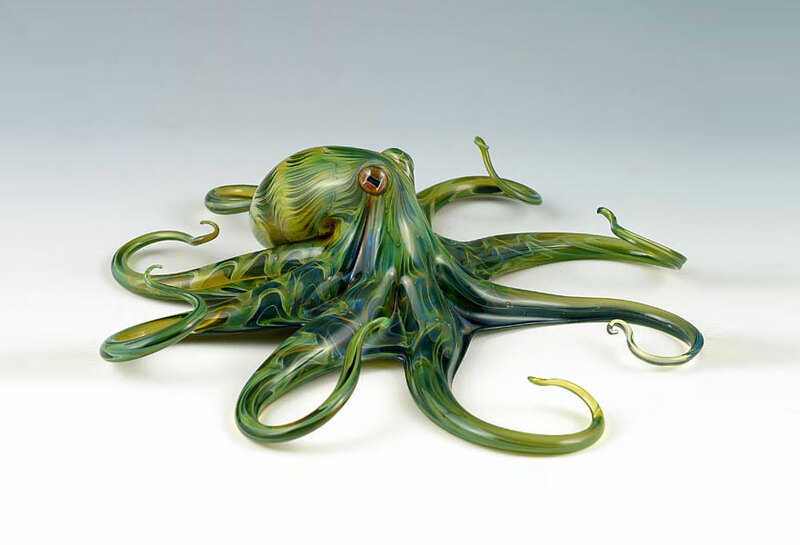 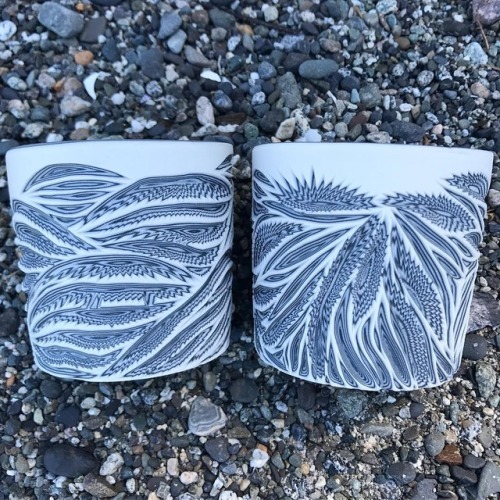 The artist, who is based in Orcas Island in Washington, has a background in chemistry and working in science labs, and that scientific background informs his experimental mindset. 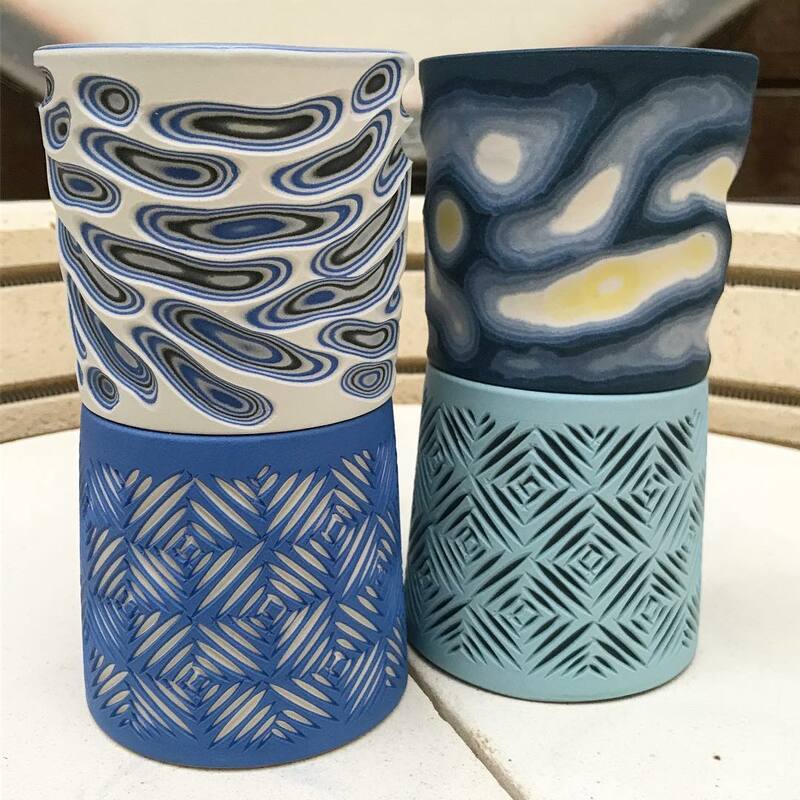 You can see more from Forest Ceramic Company on Instagram and Facebook and purchase finished works on their website. 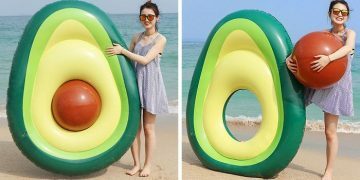 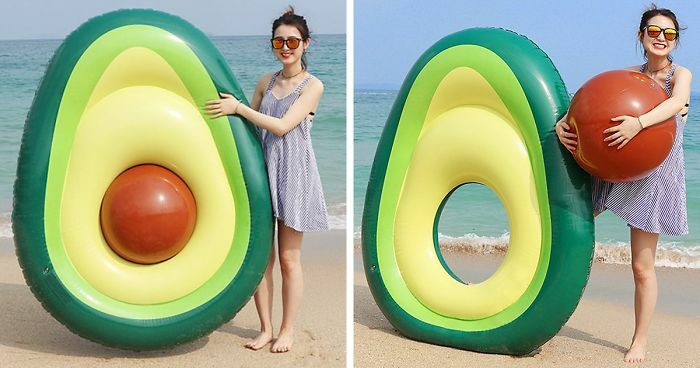 An Avocado-Shaped Pool Float With Removable Pit Is A Thing And Is Right In Time For Summer!